Today, Pass-through businesses pay a significant role in the United States Economy. They account for 95 percent of all businesses, more than 60 percent of all business income, and more than 50 percent of all employment. 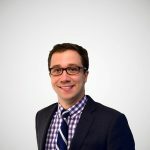 The main difference between pass-through businesses and traditional C corporations is that pass-through entities income is subject to the individual income tax while C corporations pay the corporate income tax. As a result, pass-through business income is subject to the same marginal tax rates as individual wage income. These taxes include the federal individual income tax, payroll taxes, and state and local taxes. These levies all add up to significant marginal tax rates in many states. 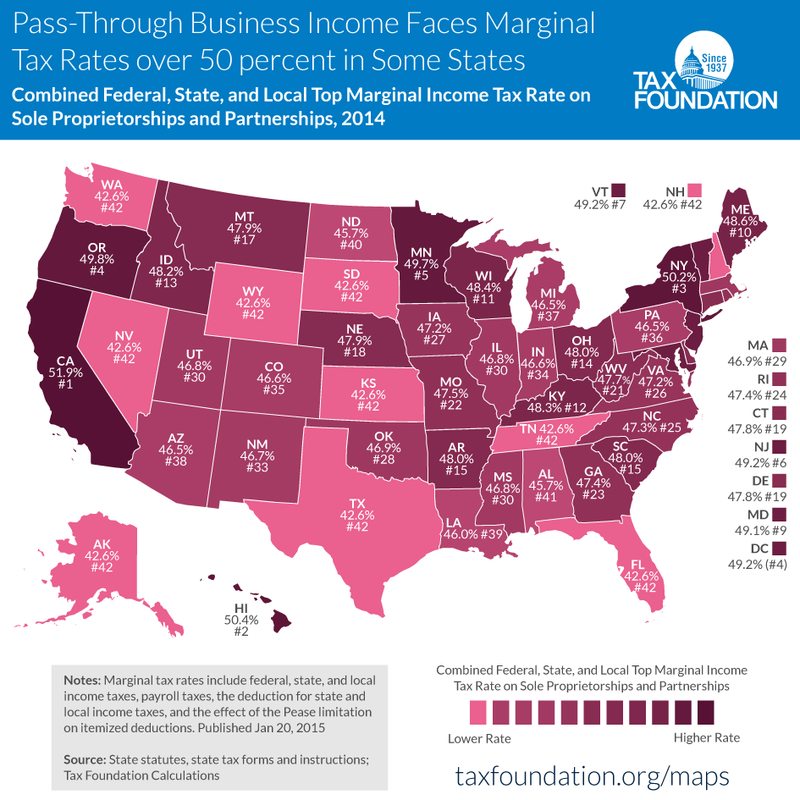 In 2014, partnership business income faced top marginal tax rates higher than 50 percent in three states: California (51.9 percent), Hawaii (50.4 percent), and New York (50.2 percent). Partnership income earned in states without state income taxes faced the lowest top marginal tax rates in the country at 42.6 percent. These states are Florida, New Hampshire, Tennessee, Kansas*, Texas, South Dakota, Wyoming, Nevada, Washington, and Alaska. *Kansas has an individual income tax, but exempts 100 percent of net business income from its income tax base.